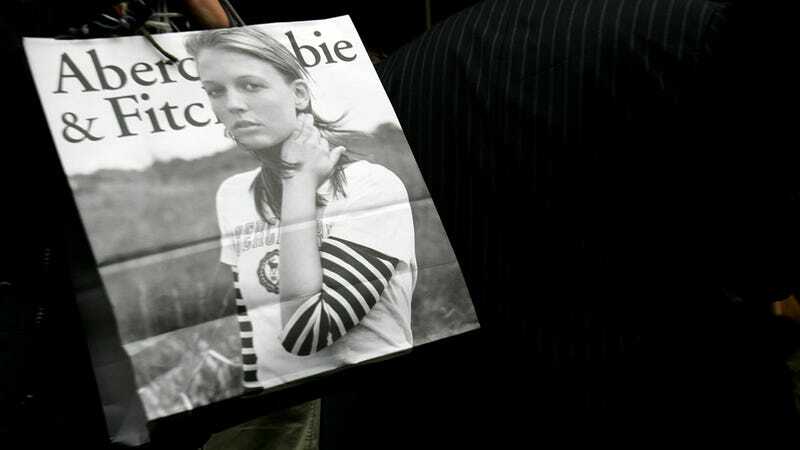 For years now, Abercrombie & Fitch has been struggling with some bad PR, and lately, profits are down. Time for a change. Turn on the lights. Put away the abs. The Hollister stores are brighter, the music has been turned down, and the fragrance spritzed among the racks is less cloying — 25 percent less so, the company says. The blinds on Abercrombie windows are gone, and the company is experimenting with window displays for the first time. Gone, too, are the ubiquitous photos of abs that have offended so many people over the years; they have been replaced with images and mannequins touting the clothes. Abercrombie has added larger sizes; a "classic fit" T-shirt for men, available online for the back- to-school season, is looser than the company's standard muscle- style shirt. No word what's up with the women's sizing: Currently, the company does not offer anything for ladies larger than a size 10.